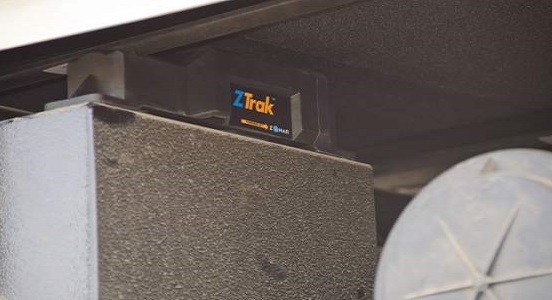 ZTrak is the most reliable and easy-to-use equipment tracker available. Designed to withstand harsh outdoor environments and boasting an exceptional battery life, ZTrak helps you locate all of your assets instantly. It’s the simplest, most cost-effective way to increase equipment utilization and ensure the security of high-value assets. ZTrak is the ideal solution for managing zero and low-maintenance assets that are deployed for long periods. With ZTrak, you can locate your equipment easily through Ground Traffic Control. This web-based asset management portal provides pinpoint location reports with just a few clicks. ZTrak Printable Product Brochure ZTrak is the most reliable and easy-to-use equipment tracker available. ZTrak helps you locate all of your assets instantly. Maintenance-free operation of your tracking solution is important. Zonar's asset tracking continues to perform for more than 5 years on a 1 or 2 location-per-day ping cycle. The battery pack is field replaceable to extend the working life to more than 10 years, providing the best-in-class total ownership value. ZTrak's sealed, rugged enclosure is designed to withstand the harshest outdoor environments. It operates within a -40° F to 185° F temperature range and is impervious to rain, sleet and snow. The unit can be conveniently mounted to your assets with bolts, a magnet mount or a tie wrap. Wherever you go, ZTrak can go, too. Made with superior internal antennae both for cellular and GPS communication, ZTrak locates equipment immediately, and in the case of theft, Zonar can increase its location pings to assist law enforcement in recovering your asset. Locate equipment and assets easily and reliably in any outdoor environment through Zonar’s web-based Ground Traffic Control – even if you don’t use them every day. Place it and walk away. ZTrak offers dependable equipment tracking for over 5 years on a 1 location-per-day ping cycle, with replaceable battery to extend working life to over 10 years. The excavator, worth $70,000, would never have been recovered were it not for the Zonar tracking device we had installed. If we hadn’t been able to recover the excavator, we would have had to rent a replacement for at least several months at considerable expense.